Beautiful very cosy semi detached house, located in a residential sidestreet and very quiet. The house is only 1.5 km from the sea and has a garden with BBQ and private parking spaces. With 4 bedrooms it can be very interesting for two families going on holiday together. It is modern, spacious, comfortable and well cared for in detail, for a relaxing holiday. not far located from the main shops and a small supermarket, both within walking distance. 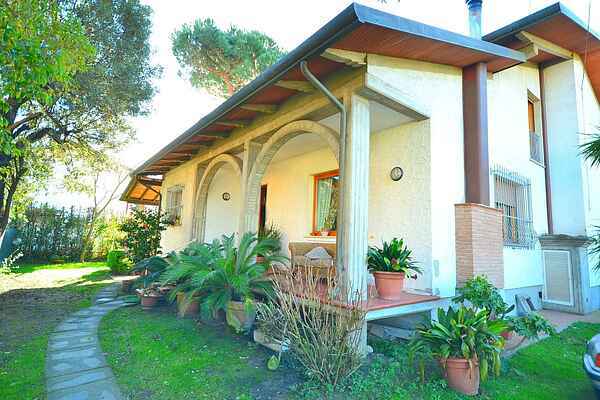 Cinquale is about 6 km from Marina di Massa and is a residential area full of houses with their well-tended gardens. It's more quiet then Marina di Massa and, given its proximity to Forte dei Marmi (only 3 km), it is more interesting. Cinquale is not recommended for those who do not have a car, even if the bicycle replaces it very well. There are shops, banks, a post office and a selected number of restaurants and eateries, some of them really excellent when it comes to fish. The beaches are wide and sandy and the sea a little deeper to Marina di Massa.